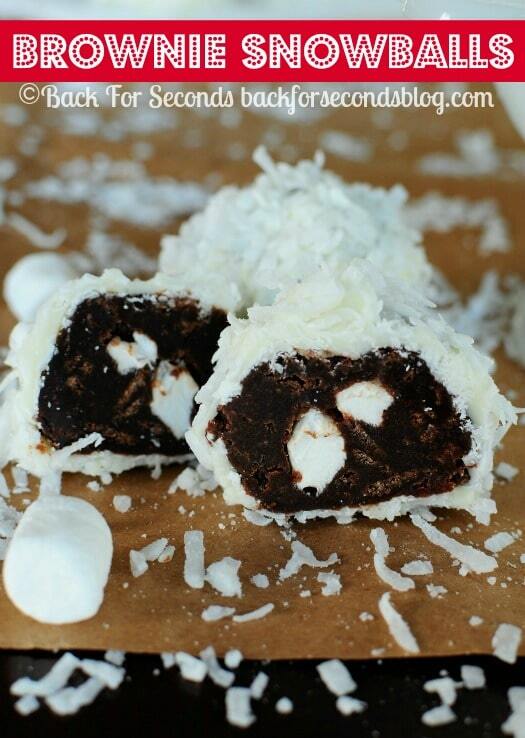 I have partnered with Kraft to bring you this fun holiday dessert recipe for Brownie Snowballs! I had a lot of fun creating this fun holiday recipe. Brownies are my favorite food on the planet and I have used a rich, fudgy brownie recipe along with some holiday baking staples to make these festive Brownie Snowballs! I knew these would be a big hit with my kids, and they will make a great addition to my Christmas goodie trays too! These take a few steps to make, but they are really easy. 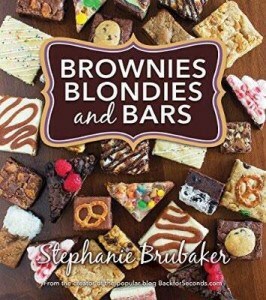 First you bake up the brownies, making sure to pull them from the oven while they’re still nice and fudgy. You can’t over bake them or you won’t be able to make snowballs. Once the brownies cool, cut them into squares and put a few mini marshmallows in the center, Then roll the brownies into balls around the marshmallows. Stick them in the freezer for a bit and grab a cup of coffee. 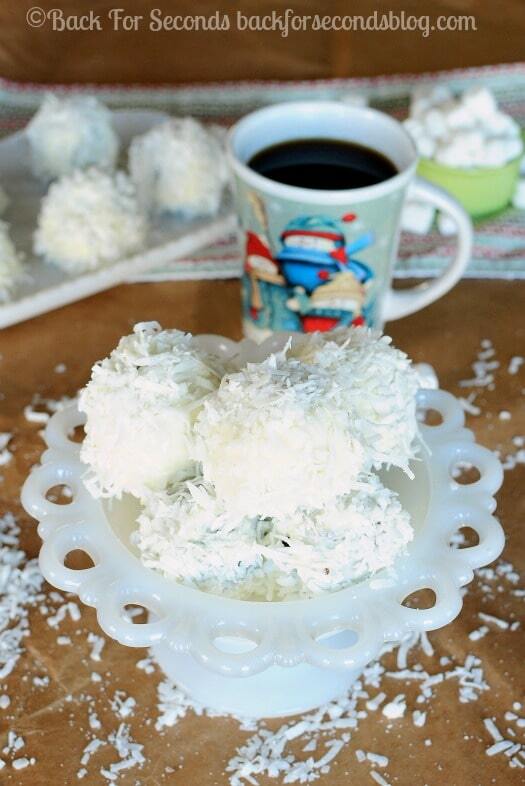 The you dunk the balls into melted white chocolate and roll them in coconut. Voila! 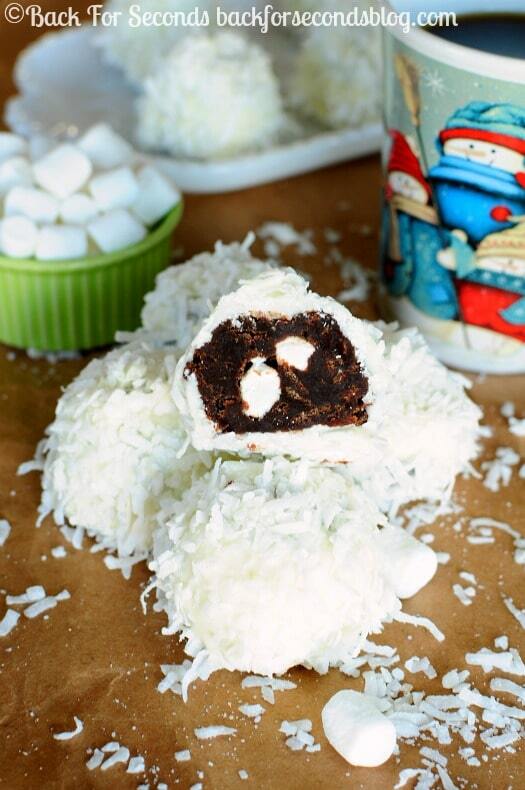 Brownie Snowballs! These are such a fun, festive treat to try this holiday season. These all look so yummy! 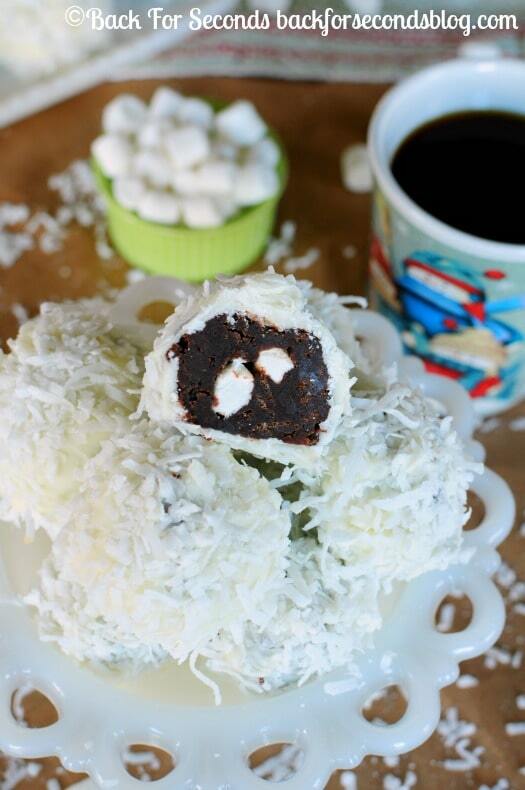 The brownie snowballs are something new to me and they look quite delicious and easy to make. 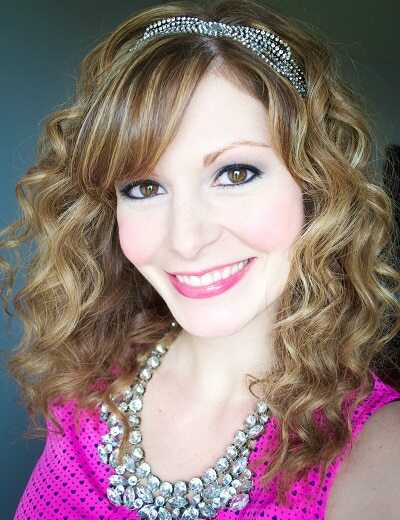 Stopping by from the “Wow Me Wednesday Linky”. Following you via Bloglovin and Twitter. These are a must make. Just pinned. I’m also featuring them tonight when my link party opens up!! Thanks! This looks awesome! Do you have to use the coffee? 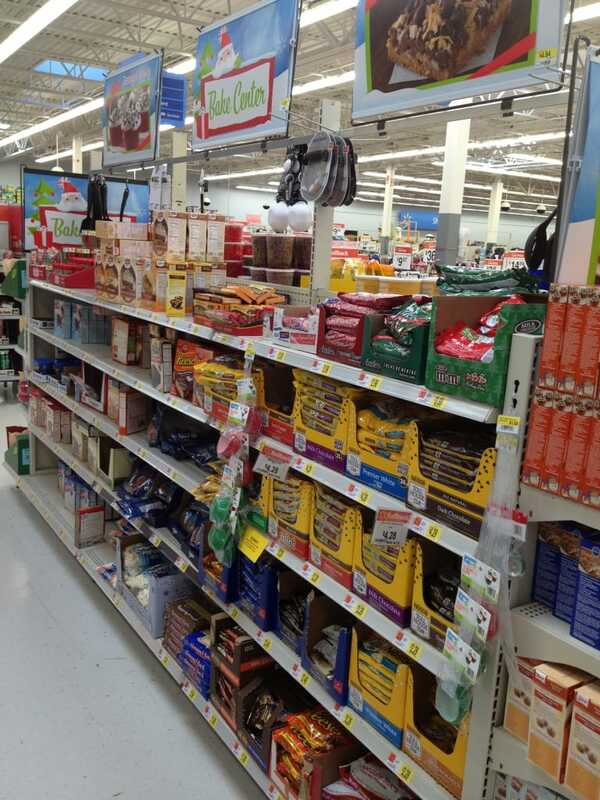 Can you omit totally or is there something I can substitute? You can just leave it out alltogether. They will still tadte great! Enjoy! Thanks so much! I look forward to trying these next week. Merry Christmas!